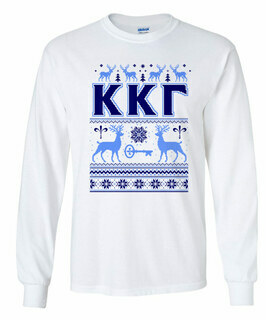 Tis the season to be proud of your letters. 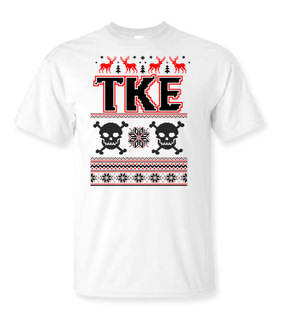 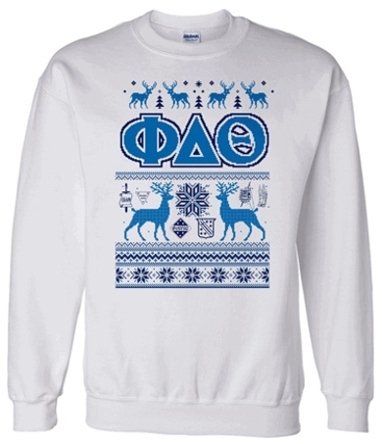 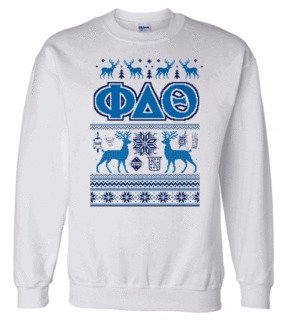 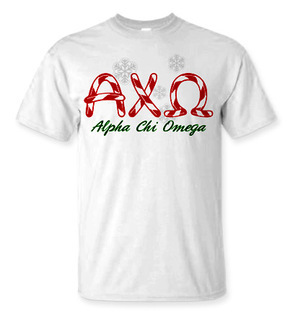 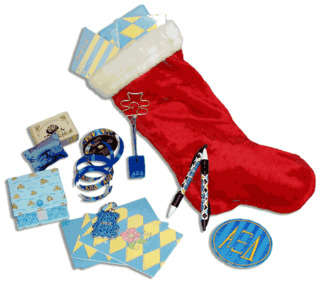 Just because it's winter break and you're busy stuffing stockings, decking the halls and baking cookies doesn't mean you can't tout your fraternity or sorority pride. 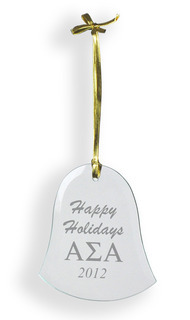 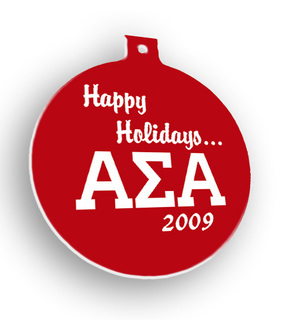 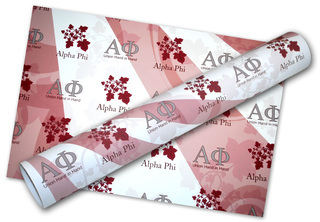 Don't let your holiday décor gloss over one of the most important aspects of your life - your beloved Greek organization. 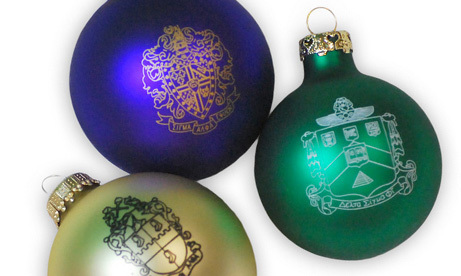 Your fraternity or sorority house probably has its own stock of holiday decorations, and a set of ornaments adorned with your letters is an oft-overlooked essential. 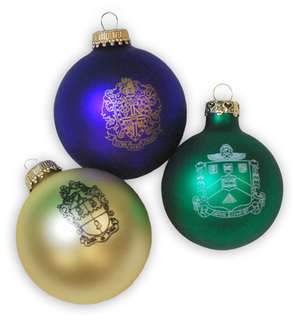 Find Greek ornaments at Greek Gear that speak to your organization's specific tastes, from classic holiday balls in a variety of colors to discount pewter ornaments. 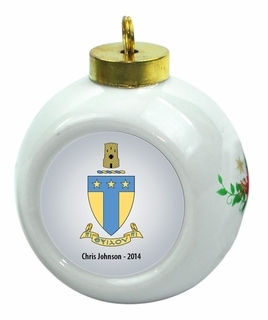 Fraternity ornaments made with your organization's crest or letters are the perfect way transform a regular old frat house Christmas tree into a work of art and pride. 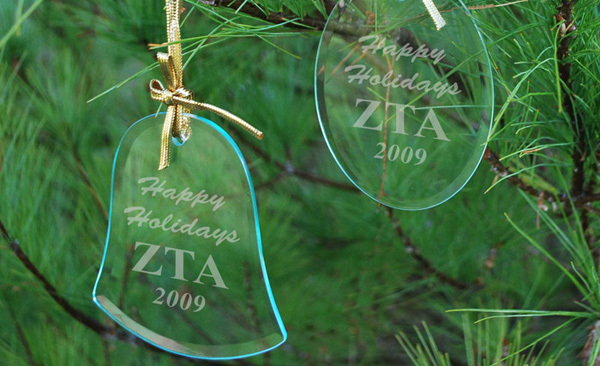 Personalized sorority ornaments with your letters, symbol and customized message make the best stocking-stuffers for your best sisters. 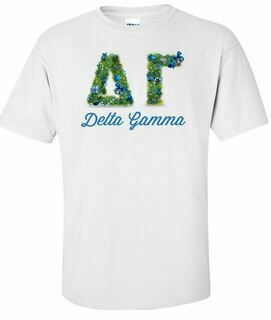 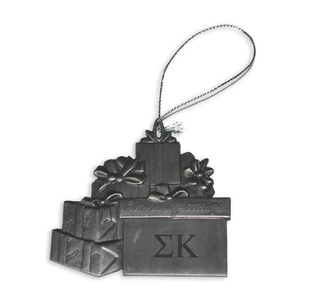 Greek Gear knows its fraternities and sororities inside and out, and your organization's symbols aren't forgotten. 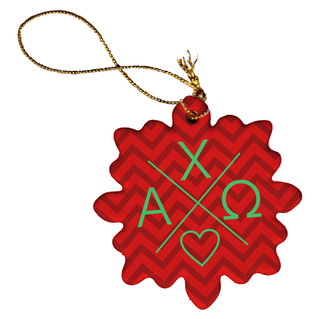 If you're an Alpha Delta Pi, we've got Alphie ready to adorn a set of adorable ornaments. 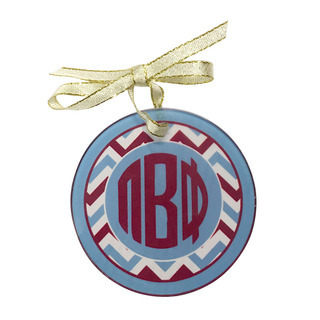 If you're a Delta Gamma, an anchor is awaiting an array of ornaments to design. 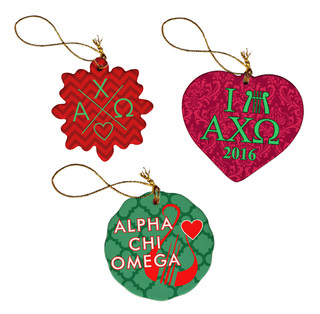 If you've already got something drawn up, you can use Greek Gear's simple-to-use design studio to decorate Christmas ornaments with your own design. 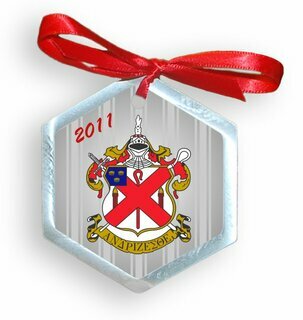 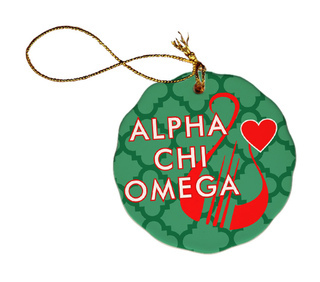 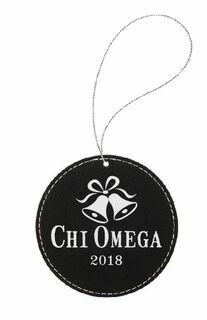 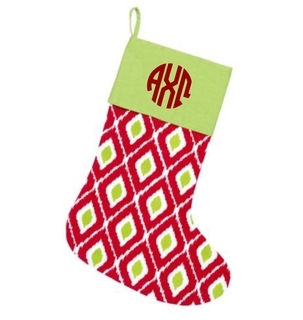 Custom holiday ornaments �specially made with that dedicated sorority girl or frat guy in mind make the perfect gift at the end of fall semester. 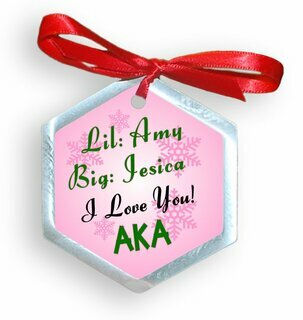 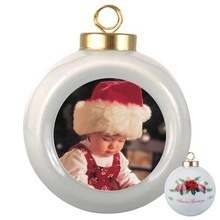 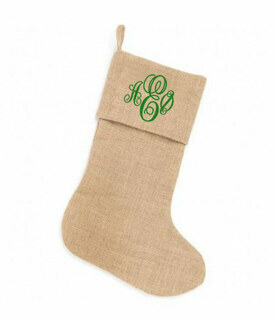 Choose a premade design and personalize it with a seasonal message for your sister or brother. 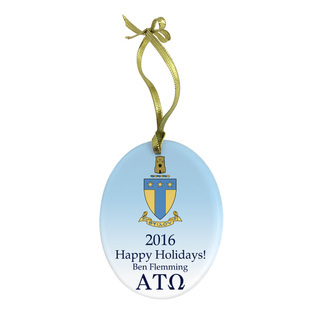 Thank your big or little, chapter adviser or any alum with this great selection of holiday gifts for the dedicated active or past member. 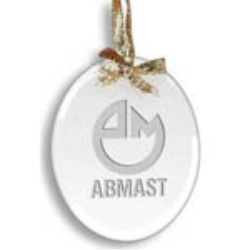 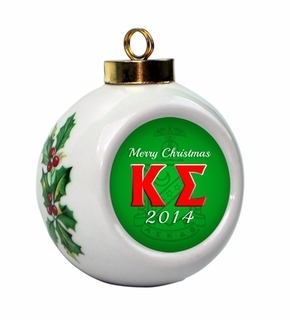 Christmas morning just wouldn't be the same without unwrapping an ornament adorned with your letters.